AvL's Model 1.6m 2020 FlyAway SNG antenna system offers enhanced wind performance in a lightweight, portable, 2-man lift package. 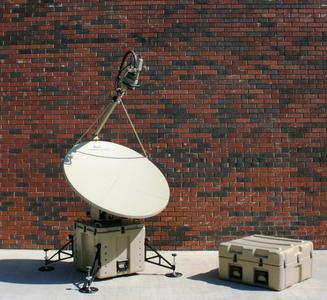 All 2020FA FlyAway SNG antenna systems have positioners integrated into cases for easy set-up; these antennas can be flown anywhere, then set up and operational within minutes. AvL’s FlyAway SNG/Mil antennas are designed to meet and exceed the highest performance requirements around the world to guarantee both satellite authority compliance and peak in performance, reliability and availability. Each Flyaway Antenna is priced to include the AvL carbon fiber antenna and auto-acquisition controller for ease of operation. As with all AvL antenna systems, no laptop is necessary to operate the controller, the antennas interface with any modem, RF electronics, or satellite service. Questions? Email an AvL Representative here: Sales or call an AvL representative today at +1 828 250 9950.